Speaking for me personally, I had a great day at CES 2012! I started my day talking to the good people of Toddy Gear who hooked up the CrackBerry Nation with some free screen cleaners. Then I got to talk to some great case makers, Seidio, who took us upstairs (in their booth) to their meeting room for some VIP access. Our friends at Netshelter provided some great blogging space, then they invited us to their party at Tao nightclub at the Venitian. There, to my surprise, they called my name to win a brand new, unlocked Galaxy Nexus! What an awesome day! 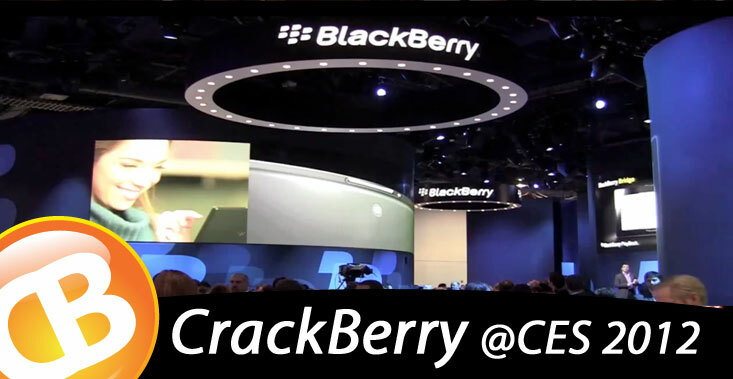 Don't worry, CrackBerry Nation; I'm CrackBerry fo' life. Still, it's a very nice phone. CrackBerry had a great day, too! A ride in the BlackBerry Limo at CES! Hands On with the WHITE BlackBerry Curve 9360... HAWT! First Look at the OnStar RemoteLink app for BlackBerry! Toddy Smart Cloth annihilates fingerprints - CrackBerry has 7 to give away! You'll want to stay tuned to CrackBerry for all your BlackBerry @ CES coverage as we'll have plenty of hands-on and interviews coming from the showroom floor plus, we have a few podcasts lined up as well -- ones you won't want to miss.